Provided to YouTube by Parlophone France The Things I've Seen · Alex Hepburn Things I've Seen ℗ 2019, Parlophone / Warner Music France, a Warner Music group Company Producer: Alex Hepburn Lead Vocals: Alex Hepburn Bass, Drums, Piano, Producer, Programming, Programming & Keyboards: Chris Ballard Masterer: Chris Gehringer Additional Drums: Craigie Dodds Additional Keyboards: Craigie Dodds Mixer: Craigie Dodds Additional Production: Craigie Dodds Additional Drums: Pete Boxsta Martin Additional Keyboards: Pete Boxsta Martin Mixer: Pete Boxsta Martin Additional Production: Pete Boxsta Martin Auto-generated by YouTube. Provided to YouTube by Parlophone France Burn Me Alive (feat. 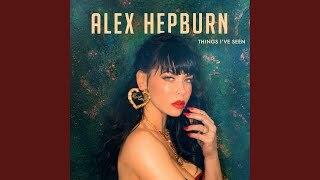 James Arthur) · Alex Hepburn · James Arthur Things I've Seen ℗ 2019 Parlophone / Warner Music France, A Warner Music Group Company Producer: Alex Hepburn Lead Vocals: Alex Hepburn Masterer: Chris Gehringer Bass, Drums, Keyboards, Mixer, Piano, Producer, Strings: Craigie Dodds Assistant Engineer: Hugh Fothergill Bass, Drums, Keyboards, Mixer, Piano, Producer, Strings: Pete Boxsta Martin Auto-generated by YouTube. 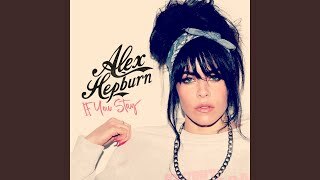 Provided to YouTube by Warner Music Group Can't Stop · Alex Hepburn If You Stay ℗ 2017 Warner Music France, A Warner Music Group Company Vocals: Alex Hepburn Bass, Drums, Programming & Keyboards: Craigie Dodds Bass, Programming & Keyboards: Pete Boxsta Martin Additional Drums: Pete Boxsta Martin Composer, Writer: Alex Hepburn Composer, Writer: Amir Izadkhah Composer, Writer: James Newman Composer, Writer: Johnny Ghostwriter Auto-generated by YouTube. Provided to YouTube by Parlophone France Could Have Been Happy · Alex Hepburn Things I've Seen ℗ 2019 Parlophone / Warner Music France, A Warner Music Group Company Producer: Alex Hepburn Lead Vocals: Alex Hepburn Percussion, Producer, Programming: Chris Ballard Masterer: Chris Gehringer Mixer: Craigie Dodds Assistant Engineer: Hugh Fothergill Mixer: Pete Boxsta Martin Auto-generated by YouTube. Provided to YouTube by Parlophone France If You Stay · Alex Hepburn Things I've Seen ℗ 2019, Parlophone / Warner Music France, a Warner Music group Company Bass, Percussion, Piano, Producer: Alex Hepburn Drum Programmer: Alex Hepburn Lead Vocals: Alex Hepburn Bass, Mixer, Percussion, Piano, Producer, Recorded by: Chris Ballard Drum Programmer: Chris Ballard Masterer: Randy Merrill Composer, Writer: Alex Hepburn Composer, Writer: Chris Ballard Composer, Writer: Johnny Frierson Composer, Writer: Mary Frierson Auto-generated by YouTube.